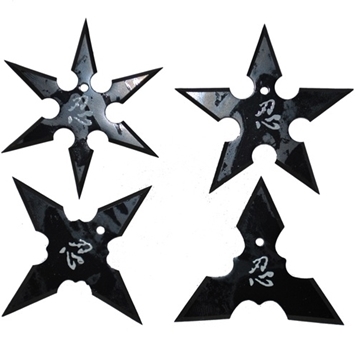 Stainless steel 2 1/2″ stars come in a pouch containing a 3, 4, 5, and 6 point ninja throwing shuriken. Fly by day, kill by night! 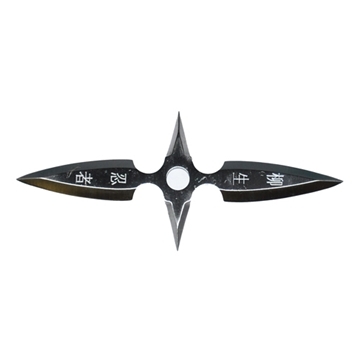 Smooth blade on one side, serrated edge on the other. 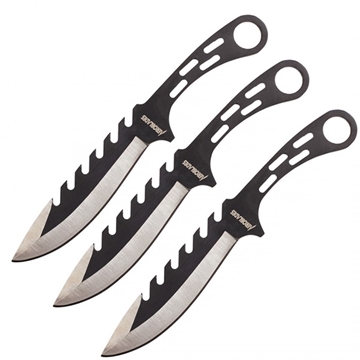 This set of three throwing knives has some serious anger issues! Knifes are 6 1/2" long and the set comes with a carrying sheath.